Both parent breeds of the Rotterman are widely known especially for their seemingly aggressive behavior, strength and solid constitution. These traits were the elements that qualified these dogs for owners’ personal safety and other activities in which they could make use of their strong muscles and their size, being of medium to even large sizes. The Doberman was conceived as a strong, fearless guard dog by Karl Louis Friedrich Doberman whose job was tax collection, thus needing some extra help while making rounds. The Rottweiler was primarily a herding dog found mostly on farms, who could also carry weight carts to markets and protecting at the same time his owner from potential thieves. Very trainable dogs, despite their fierce looks, the Rotterman dogs can get used easily with children and other pets, even cats, if they are allowed to socialize from the very beginning of their lives. They often bark while playing or when someone’s at the door, from protection reasons. They get very attached to the family and have strong protective instincts towards it. Other dominant traits are loyalty, alert behavior and intelligence. As any other dog, they need attention and affection from the family members, as well as daily exercises in order to keep them in good physical and mental shape. Ideally, the Rotterman should have access to open space in order to run and play, so that excess energy doesn’t get misdirected. They are not only very responsive to training, but it is highly recommended for the proper training to be carried out so that no unwanted, aggressive behavior occurs. This is done as a formal training, as this ensures firm controls and helps boosting the dog’s intelligence. The training needs to start when the dog is very young, in a gentle, but also firm manner. It is known that a dog must be protected from gaining extra weight, which can be easily done by daily walks and runs, as these activities will keep a good muscle tone and will maintain the endurance level. 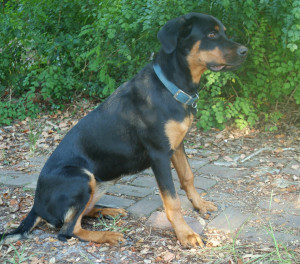 In line with the inheritance, the Rotterman has a short coat, with a reduced level of shedding. With regards to colors, black is dominant, but with some reddish or tan influences, which come from either the Doberman or the Rottweiler. Of course, even if short and easy to maintain, the dog should still be bathed on a monthly basis. Due to the low level of shedding and the shortness of the coat, this dog is in the low maintenance category. However, they will still require a good bath every once in a while. The Rotterman is a highly trainable dog, knowing how to respond to commands and manifesting obedience towards the owner if properly trained. They make also very good watchdogs and can provide necessary protection for the owners. In order to maintain a good physical state, they require daily walks and runs and will always enjoy socializing in the dog parks. 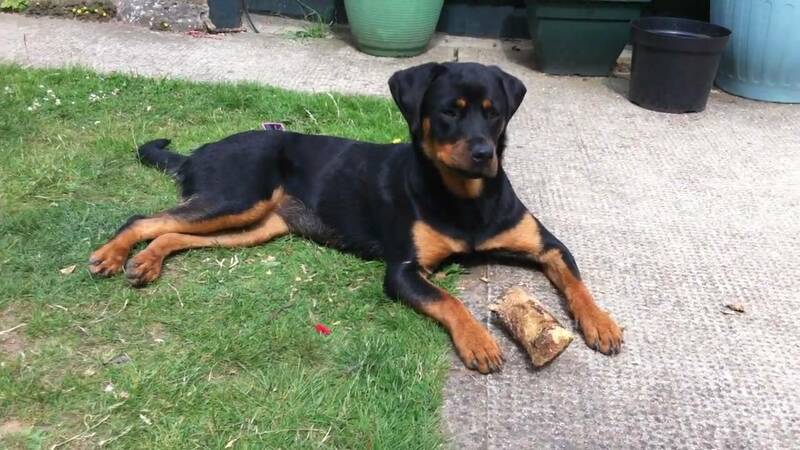 This entry was posted in Doberman Pinscher, Rottweiler. Bookmark the permalink. Nice article, my uncle use to have a Rotterman and he was really awesome. This article is consistent with the advice given by people who specialize in this breed,particularly breeders who have decades of experience raising, training and showing their Rottweilers. They are a majestic animal. I have had Doberman Pinschers for thirty years and have seen the good traits of their Rottweiler relatives on a consistent basis. The key element I have seen continuously with the Rottweiler is early and continued socialization with other people especially with children. 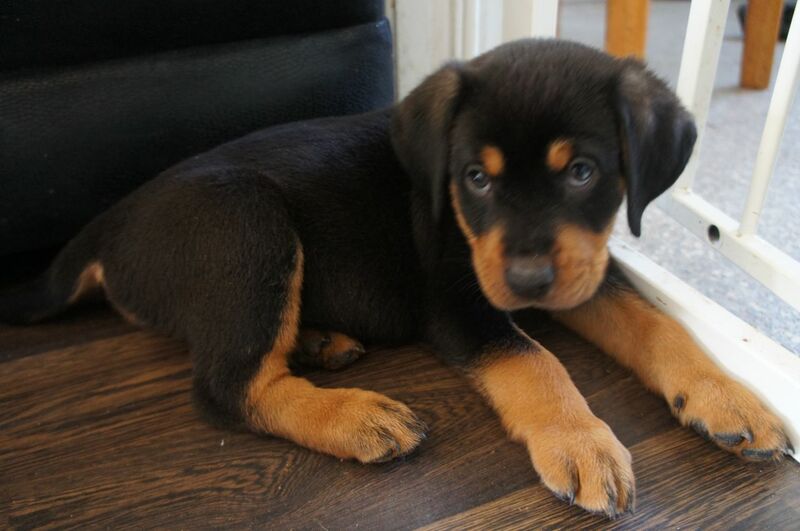 I am looking for a Rotterman puppy. I live in KY and do not know of any breeders here in KY. Could someone please help me find a breeder or a rescue site?